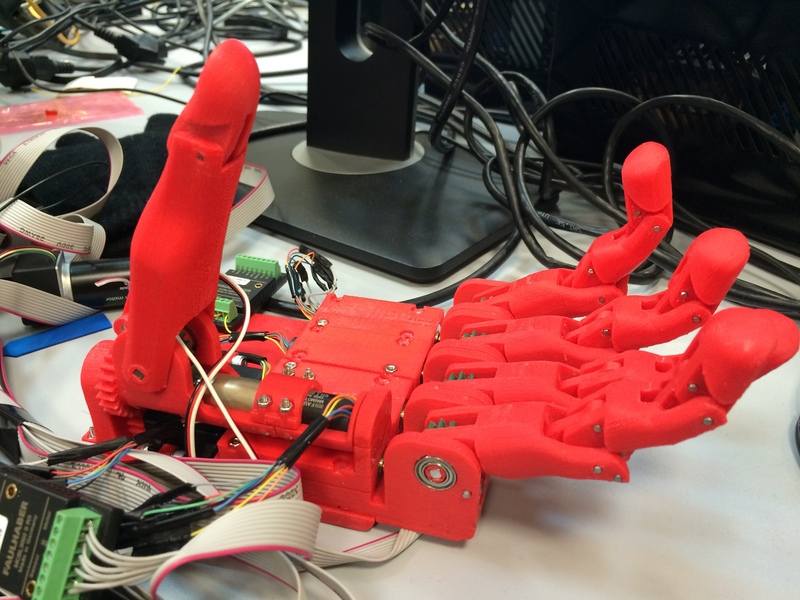 The project aims to create an atropomorphic low-cost robotized upper limb prosthesis. Over the last few decades, there were a great number of studies on developing and experimental trials of novel upper limb prosthesis designs. 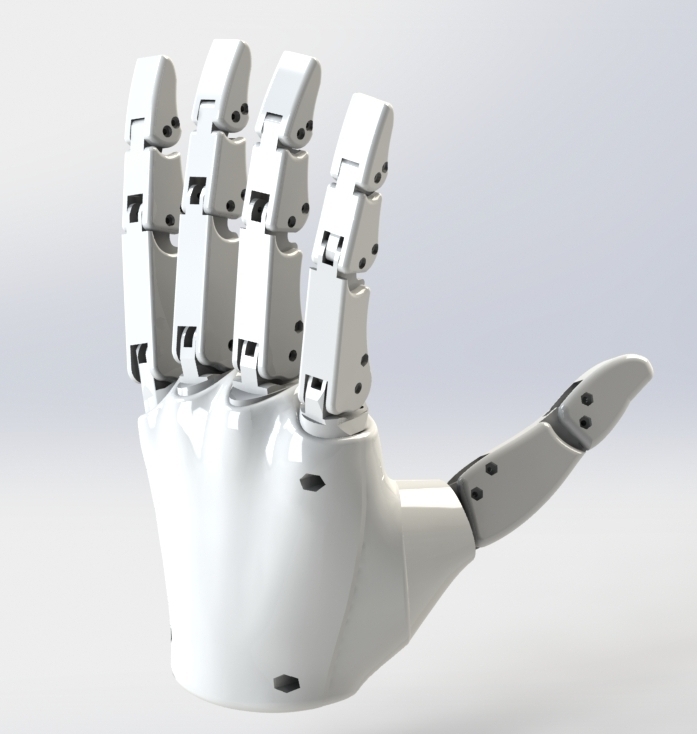 Aiming to provide more dexterous and advanced grasping capabilities, modern upper limb prostheses utilize advances of robotic hand research. 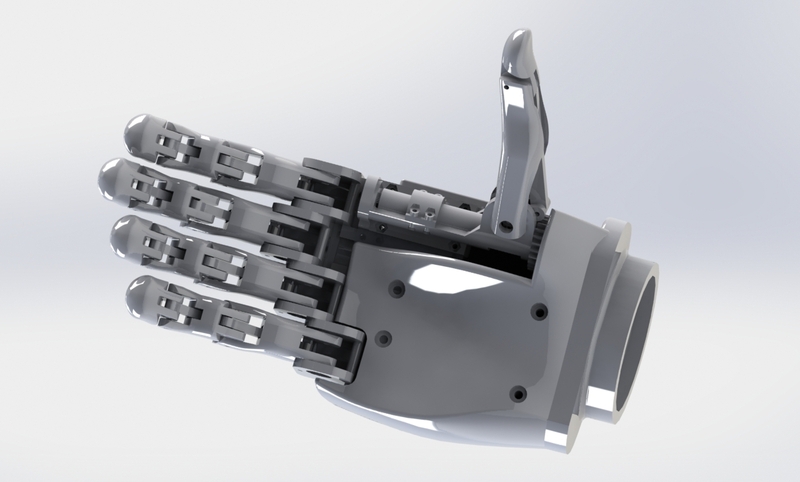 There have been proposed various designs of underactuated artificial fingers based on mechanical linkage mechanisms. As linkage mechanisms consist of rigid links and transmission gears, the finger and hand kinematics can be modeled and solved as a standard kinematics problem for control purposes. Presently, a lot of recently proposed tendon-driven prothesis prototypes and commercially available upper limb prostheses utilize the two-phalanx finger system. Finger distal phalanges in such finger mechanisms are rigidly combined with the intermediate phalanges under certain angle ensuring basic grasping capabilities of a prothetic hand. As part of the project we have developed a finger design consisting of three phalanges combined using four-bar linkage mechanisms. This results to larger workspace, enhanced gripping performance of the finger compared with the traditional two-phalanx finger designs, more natural grasp and finger movement as experientially demonstrated with the designed finger prototype. 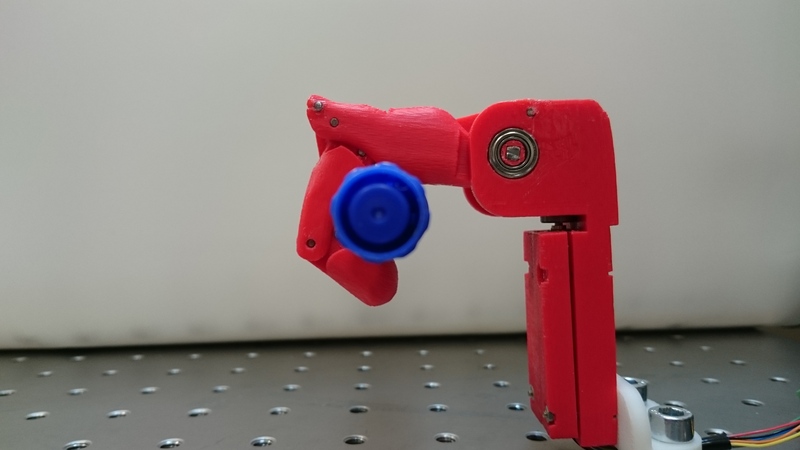 Several iterations of the robotic hand design have been developed aiming to test various finger actuators and transmission options. 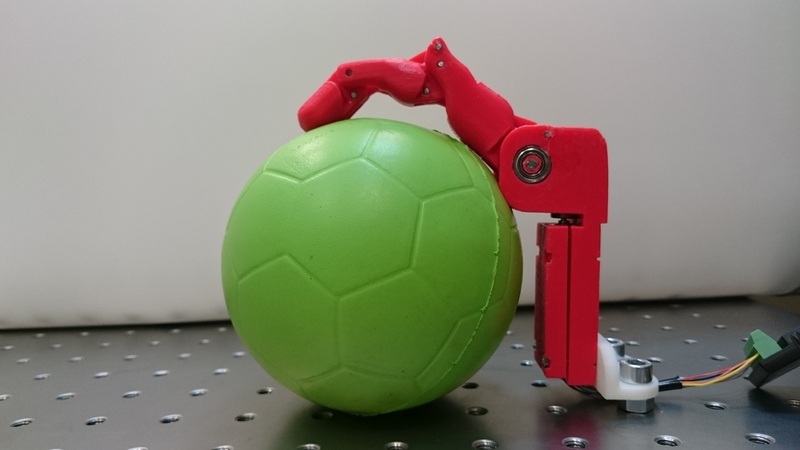 Currently, a new version of the hand is being developed utilizing low-cost geared DC motors and hybrid tendon-linkage finger actuation.